Fear is a powerful motivator. Fear can cause us to do extreme things. It can paralyze us and stop us dead in our tracks. We can act out of fear, and we can abstain from acting because of fear. But what about Christians? Should a Christian’s faith be fear-based? I once preached a fear-based gospel because I thought that is what the Bible taught. 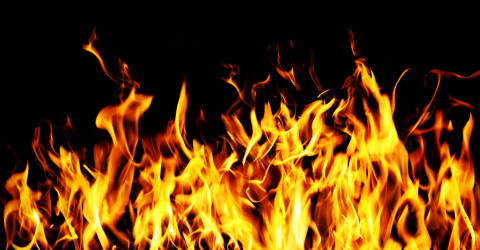 Some have deemed this kind of preaching as “hell, fire, and brimstone” preaching (e.g., think “Sinners in the Hands of an Angry God” by Jonathan Edwards). Fear-based faith should be rejected because it is not the equivalent of godly fear. The Bible is full of verses that speak of fearing God (e.g., Jer. 5:20; Eccl. 12:13; Psa. 25:12-14; 34:11; 76:4-7; Psa. 89:7; 111:10; Prov. 14:26-27; 19:23; Isa. 8:12-13; Mt. 10:28; Lk. 12:4-5; etc.). However, there is a grave difference between a fear-based faith and a faith with a godly fear. Context must determine how words are used in each passage. Paul is speaking of reverence, majesty, and awe. The word used for fear in Philippians 2:12 can mean reverence and respect (http://biblehub.com/greek/5401.htm). Furthermore, the phrase “fear and trembling” is also seen in reference to Titus in 2 Corinthians 7:15 and bondservants in Ephesians 6:5. “Bondservants, be obedient to those who are your masters according to the flesh, with fear and trembling, in sincerity of heart, as to Christ” (Eph. 6:5). This phrase signifies respect and reverence, not nervousness, doubt or anxiety. I believe that John J. Parsons does a great job writing about the different levels and meanings of biblical fear while explaining the type of godly fear followers of Christ are to have(http://www.hebrew4christians.com/Scripture/Parashah/Summaries/Eikev/Yirah/yirah.html). Fear-based faith should be rejected because it is not the equivalent of godly fear. Fear-based faith should be rejected because perfect love casts out fear. “no condemnation for those in Christ Jesus” (Rom. 8:1). Fear can be suppressed, but true love will always be expressed (Gal. 5:6). When I preached a fear-based faith, I worked with and associated myself with others who preached a fear-based faith. I soon realized from experience that fear-based faith may get a few folks to the water to be baptized, but this so called “faith” quickly disappears in these individuals because there is no substance to it. Not only does this cause its hearers to have a misunderstanding of God, but some of them even have an emptiness and hopelessness themselves based upon some of my own past conversations with them. Instead of casting out fear, they have welcomed and incorporated it into their faith. Fear-based faith should be rejected because perfect love casts out fear. Fear-based faith should be rejected because it contradicts the biblical teaching of confidence, joy, and peace. Fear-based faith is a faith where one lives in a continuous spiritual condition of nervousness and anxiety. They are scared, always wondering if they are really pleasing God and will typically use phrases like, “just to be on the safe side.” This type of person is always wondering if they are really saved. The more they do for God, the more they wonder if they are doing enough. Those who are following Christ should experience a feeling of inner peace, joy, and confidence which “surpasses all understanding” (Phil. 4:7). Instead of a peace that passes understanding, some have a fear that passes understanding! How so far away that is from biblical teaching. We can know we are saved (1 Jn. 5:13). Our call and election is a sure thing (2 Pet. 1:10; 2 Tim. 4:7). We are to be at peace and have great joy (Rom. 5:1-2; Col. 3:22). A true understanding of the gospel of hope and peace will never leave a feeling of hopelessness in its followers (Eph. 6:15; Col. 1:5-8). Fear-based faith should be rejected because it contradicts the biblical teaching of confidence, joy, and peace. There is certainly a godly fear of which the Bible speaks. We should respect the majesty of God. We should revere our Creator and we should work out our salvation with the utmost sincerity and awe for God, but we should reject the false fear-based faith that has been taught by many Christians throughout the ages. Godly fear and trembling is a kind of fear and trembling where we experience joy, boldness, and peace because we are in such awe of His majesty and serve such an awesome and sovereign God. “Serve the Lord with fear, and rejoice with trembling” (Psa. 2:11). Previous Post:HOW CAN JESUS BE BOTH GOD AND THE SON OF GOD? Next Post:DOES GOD’S GRACE COVER DOCTRINAL ERROR?